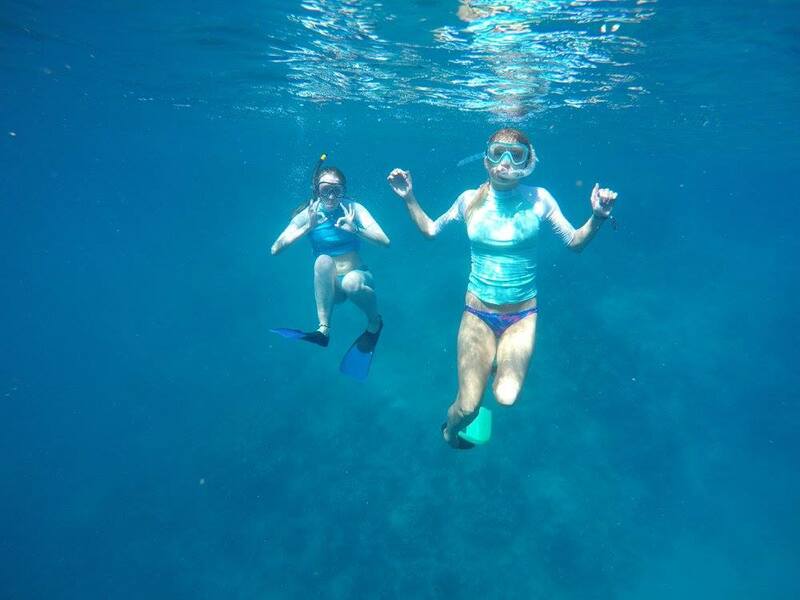 Two volunteers on our June coral gardening trip 2017, Fiji. 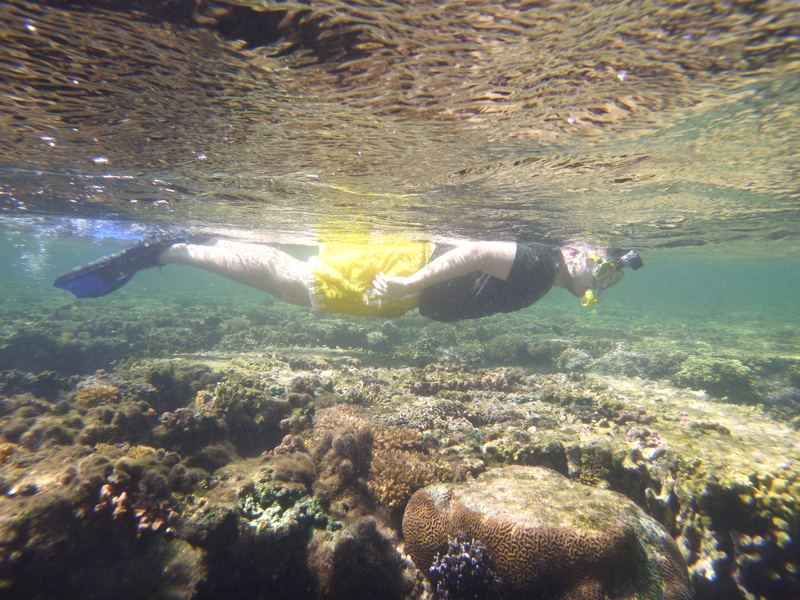 This blog is about the reefs of the South coast of Fiji and the practice known as coral gardening which helps restore reefs affected by climate change and human impact. Thanks to Victor Bonito and his team at Reef Explorer for their involvement in 2017. Contact us here for more information about our Ridge to Reef month of workshops in Fiji, in July, 2018. 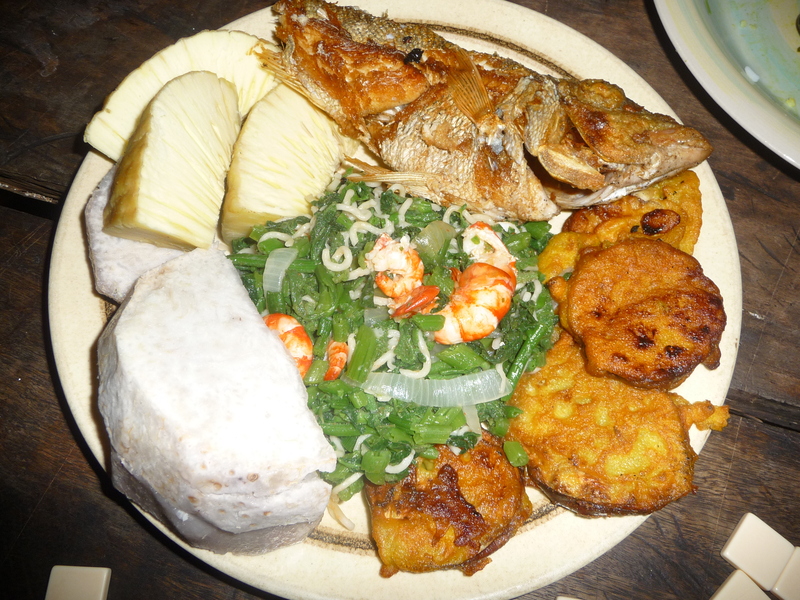 In the 70’s as a Fijian villager, you could put your cassava on to boil in your village, head out to the reef and bring back a fish to pop in the water before the cassava was fully boiled. They’d be ready to eat together. You can’t do that anymore because there aren’t enough fish. What an incredible, inspiring and long awaited series. We are lucky to have such a passionate and talented narrator to share the beauty of the world around us. I pulled a couple of facts from the series which I wanted to share: Scientists predict that by the end of the century coral reefs may be a thing of the past; Cyclones are catastrophic but they are cooling our oceans which is good when it comes to coral bleaching which is caused by warming waters. * Once a year on new moon corals spawn long with other reef inhabitants. This happens in Fiji in November. * Regenerating can happen as seen in Fiji. * Fiji boasts the sixth largest reef system in the world. It is home to 1/3 of all reef area in the South Pacific at 10,000km2. * The coral Coast, where we were working for May, June and July, 2017 is the largest fringing reef in Fiji. * It’s on the South coast, ‘Coral Coast’ of Fiji’s mainland, Viti Levu. * Without the South Coast fringing reef the waves would destroy the coast, there would be no beaches. It’s because of this reef system that Fiji is on the tourist world map for its marine life and beaches. *The Korolevu-i-wai reef system, that we work within, is 9km long with four land right owners/clans. * Without this fringing reef waves would destroy the coastline – no beaches could exist without it. * $2,100,000 (US) in eco system services benefits. ROI for every $1 spent get back $13 in a 5-10 year timescale). Source: MPS 2014-12 Monitoring Result. The BBC explain their take on coral gardening. According to Pascal and Seidl, 2013, it’s essential that we understand the value of the reef eco system. They value it as $USD20,600,000 (IUCN 2012 technical report). Coral bleaching – mass mortality when the zooxanthellae leave the coral for prolonged periods of time. First time was in 2000, second 2002 and third 2014-2016. Ocean acidification. Skeletons become more brittle and susceptible to damage. Severe and more frequent flooding. Generally changes in weather patterns. Sea levels rising, coastal erosion. Helping to promote community-based resource management in Fiji. Helps with income generation and strengthening tradition. Based on a community system of marine tenure. 200 commuities are participating in Fiji through the FLMMA network (Fiji Locally Marine Managed Areas). Using a bottom up, grassroots approach. Rights to fishing belong to clans, as it has done for many years. Fiji has a national commitment to have 30% of nearshore reefs protected by 2020. Trying to formalise the FLMMA approach to incorporate into government to make it a leagally recognise entity, not just recognised by clans. No fishing in Tabu (MPA) areas. Net mesh must be smaller than 2 inches. Stop harvesting of sea cucumbers. Net mesh must be smaller than 3 inches. No fishing of bluespine or orange spine surgeonfish. No spearfishing at night while fish sleep. Fishing with scuba or compression air forbidden. Reduce negative, human impact on the reef. We help manage people and how they interact with the marine environment. We help maintain food security as well as raise awareness. We provide livelihood opportunities and preserve cultural heritage. South Coast Viti Levu, Koro Levu, Namada Village. First ever coral gardening program held by Island Spirit and facilitated by the Reef Explorer team. Also the first time we used Namada village as hosts. 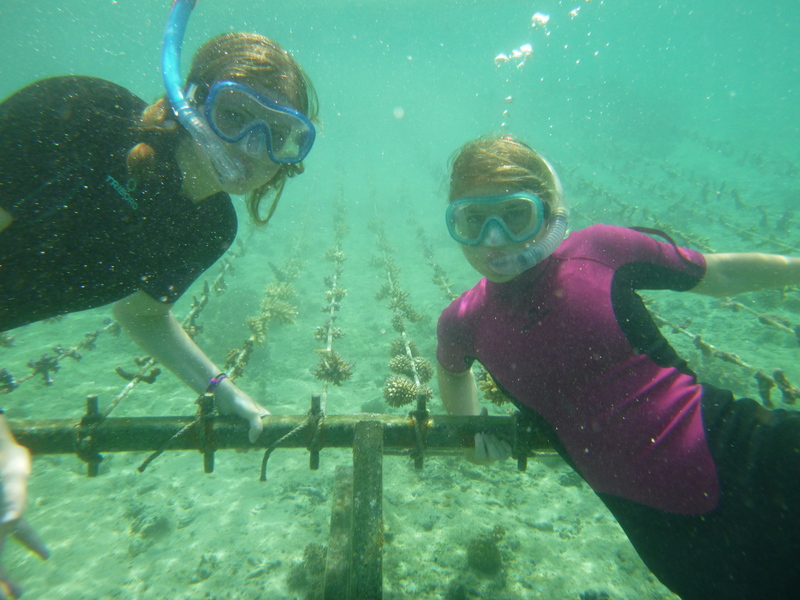 To help Reef Explorer transplant one year old farmed, heat resistant, coral back to their natural environment. * Working with a new village. * Weather conditions against us. Swell and wind in particular. * Planted 200 coral on the first day. 280 on the second day. * Made 200 concrete cookies on first land-based day. 500 on the second day. * Did one beach clean up. * Help one village quiz. * Had two craft session with the women of the village. * Painted some of the village hall. * Bought material to fix the steps to the Pastors house. * Becoming a part of the local politics within the village. * Lack of trust evident from the village elders about the leader, Kirsty. This was due to the trip being new. * Lack of understanding about the contract requirements specifically about need for true cultural immersion; involvement of women; payment criteria and host distribution. * No village team members to help with projects. * Projects leaning towards men and individual houses. Women’s handicraft not supported neither the compost heap. * Total corals transplanted = 21000. * Total CoTs cleared = Approx 40. * Bed, mattress, pillow, sheet and blanket donated to Tagaqe School along with paints and brushes. * Cleared and landscaped beneath big tree. * Cleared around Peters bure. * Namada Village. Votua Leilei (Secret, private road before Naviti resort. Agilla lives there). Nomulevu. Transplanted all rope coral on right of bouey location. * One intern fro half od the trip. * Climate change has damaged Fiji’s ecosystem. Now it threatens infrastructure, culture and lives. Should Fijians surrender coastal settlements and relocate? * The largest group to date. 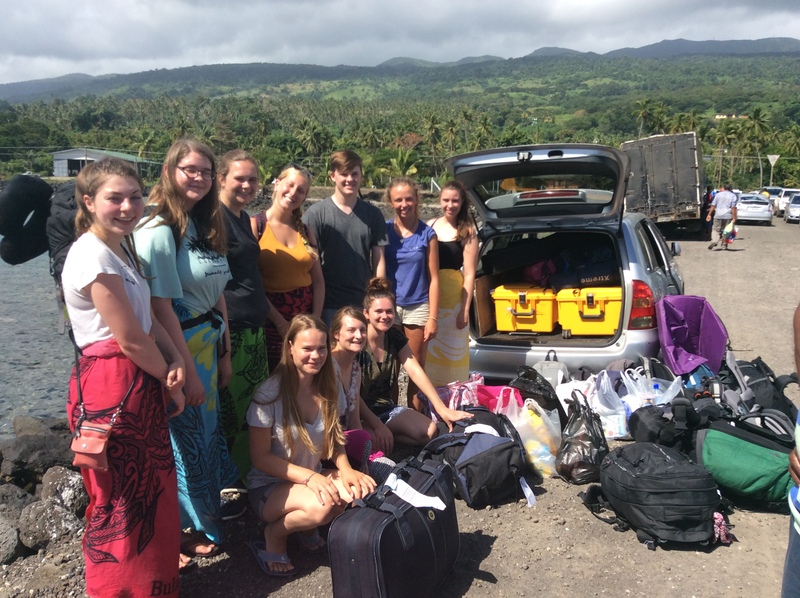 * Homestay on Taveuni not equipped so had to relocate. * Weather for coral gardening not condusive. * Approximate corals transplanted with Reef Explorer – 2000. 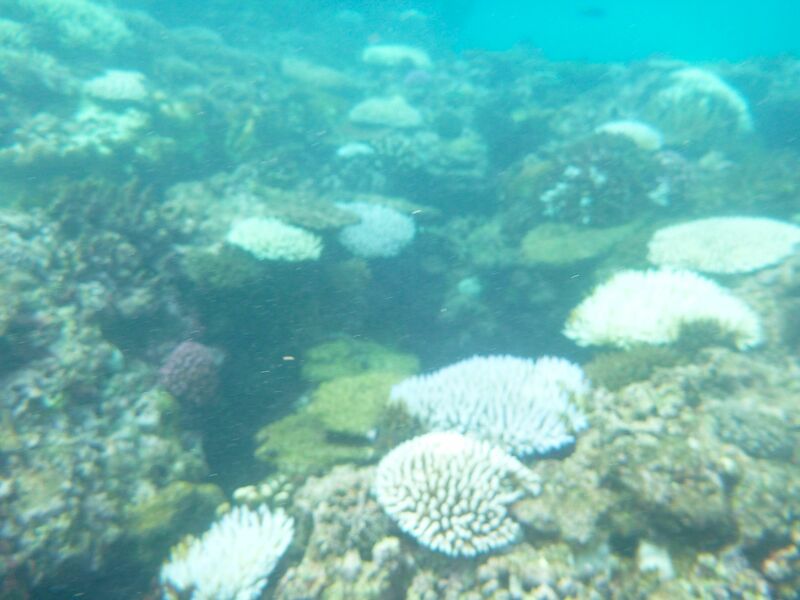 * Approximate corals planted in Taveuni – 120. * Approximate CoTs cleared – 40. 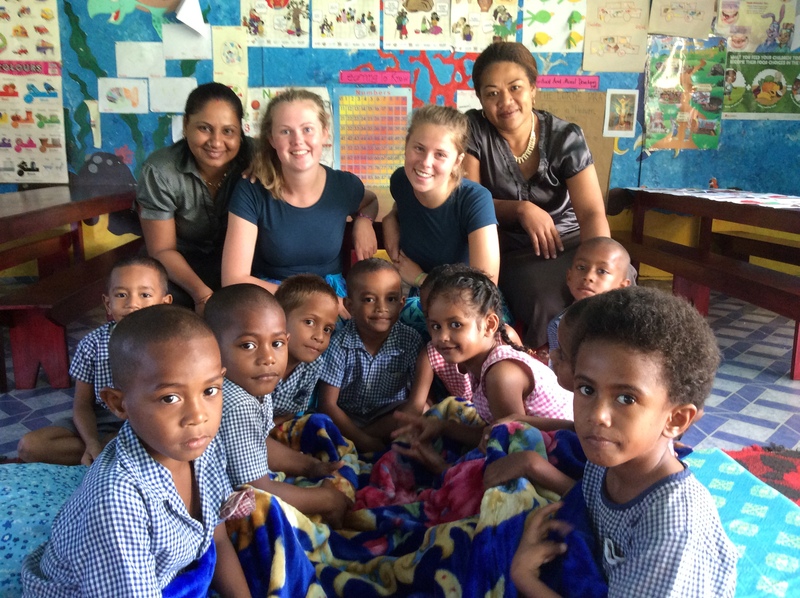 *Teachers taught an avererage of 5 hours per day over 15 school days in two school, Taqage and Kocoma Primary schools in Viti Levu and Qamea. * Donated to Namada village $990 (Louvre frames x 8; Glass x 64; 4ltr gloss grey; 10 ltr pink paint = $420. Plus $570 cash as requested by the Toraga ni Koro for village hall roofing to do in their timeframe). * Donated to Kocoma school $1350 (Laminator, toner cartridges and $280 worth school art materials from Atlas). Why did we choose Coral Gardening as an activity? Help to re-establish coral communities at degraded areas working with heat tolerant strains of coral. Boost village participation of the youth in marine conservation efforts and income generation. Specifically, eco-tourism. Improve local knowledge about coral reef ecology through hands on learning. Develop attractions that offer further eco-tourism opportunities. Place coral fragments next to the cleaned areas.